How are we already deep into November? Hello readers! It's been so long since I wrote a blog post...if I'm honest its been longer since I really wanted to. The last couple of posts I created just didn't really have heart to them, so without consciously knowing what I was doing I put myself on a little break - which turned into two months. 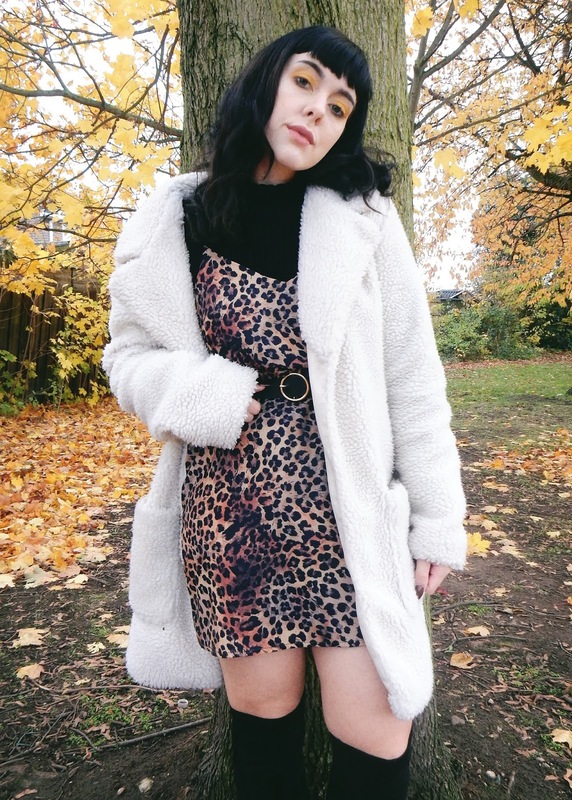 If I'm honest it was well needed and finally I've started to feel inspiration coming back, as well as excitement to share outfit posts again with you all! 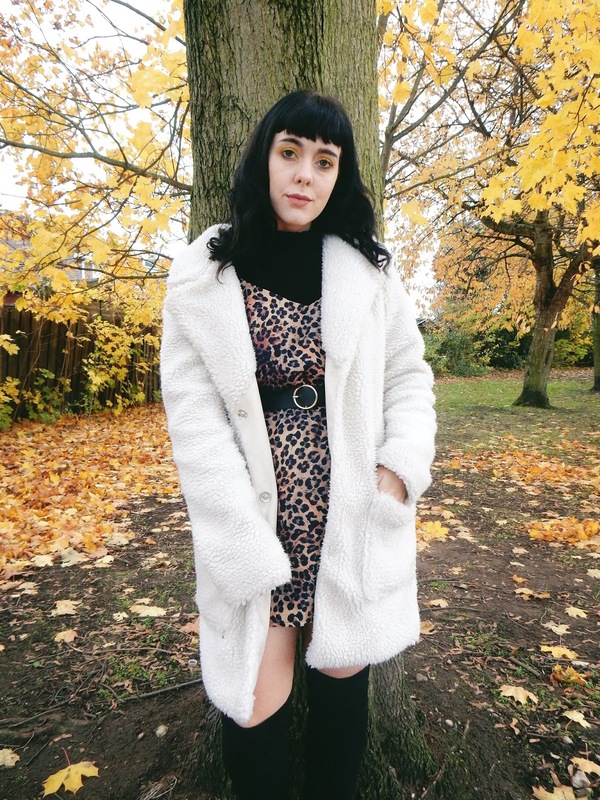 Autumn is one of my favourite times of the year and whilst I haven't been sharing it on my blog I've actually been having such a good time with friends, family and finding my style. 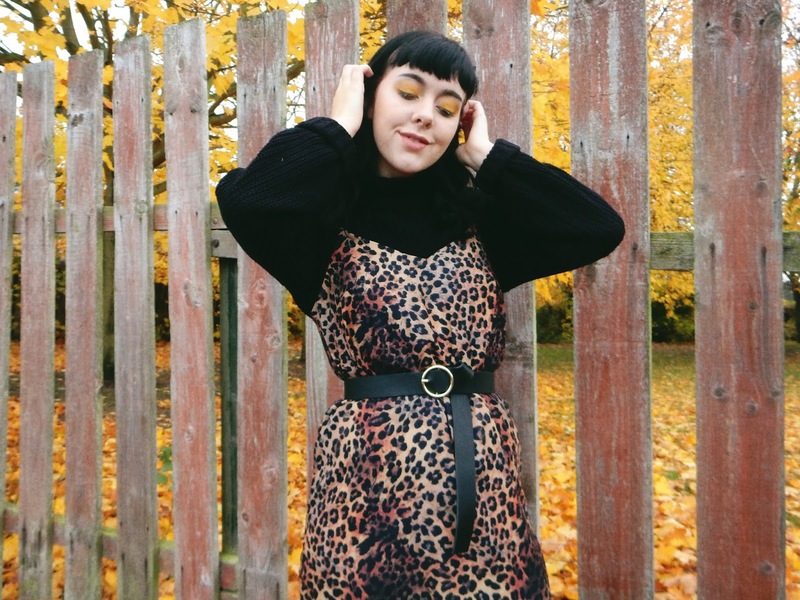 I shared a lot of it over on my social media where my styling content has been flourishing, as well as personal moments around October which is pretty much like my Christmas time. Dipping my toes into certain waters to see what people would like with my content definitely allowed me to see my niche and where I want my style to go ready for the new year! It's crazy how we're so close to the end of the year. Over the past couple of weeks I feel like we've finally hit the part of autumn that I love. Wind blowing all the leaves from the trees, big coats and scarves! I dug out all of my warmer clothing finally and realized dang I do have a lot of jumpers. I'd say they're definitely my go to item with every outfit at this time of year and I never run out of ideas on how to style them. A jumper and jeans combo is super easy, but from time to time I do want to dress up nice but still remain toasty warm. 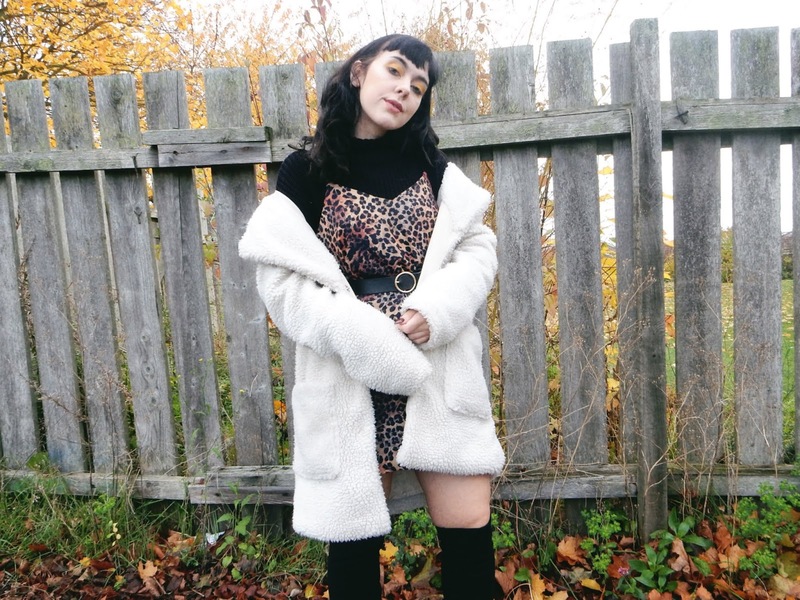 Necessity jumpers are definitely black or white, high neck and striped - these go with anything and I find it the easiest to pair with a bunch of things not necessarily for autumn. 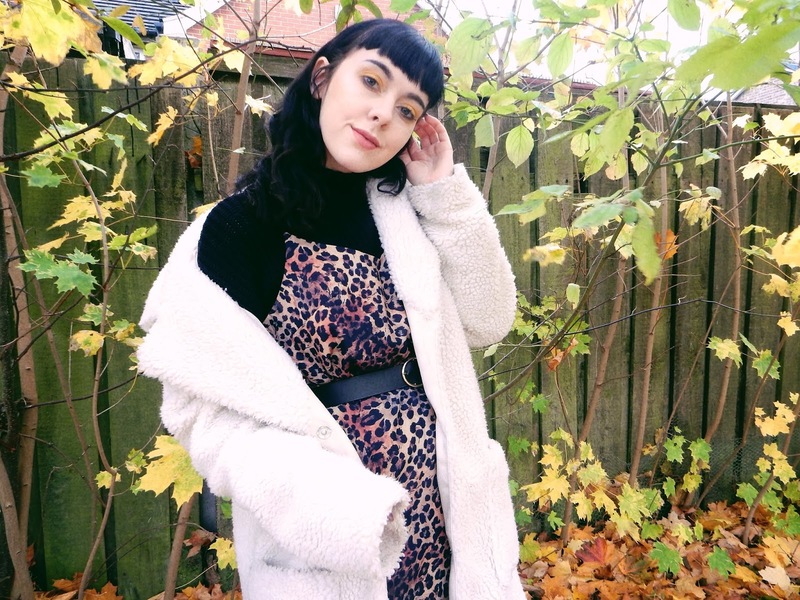 One trend I've really wanted to jump on is the leopard print craze, so when browsing on Asos I decided to indulge but pick items that can be dressed all year round. Despite loving my jumpers they go away under the bed for half of the year, so lately I've wanted to make the most of my money and go for new pieces that I can enjoy a lot longer. Is this me growing up? Adulting hard on making the most of my money. 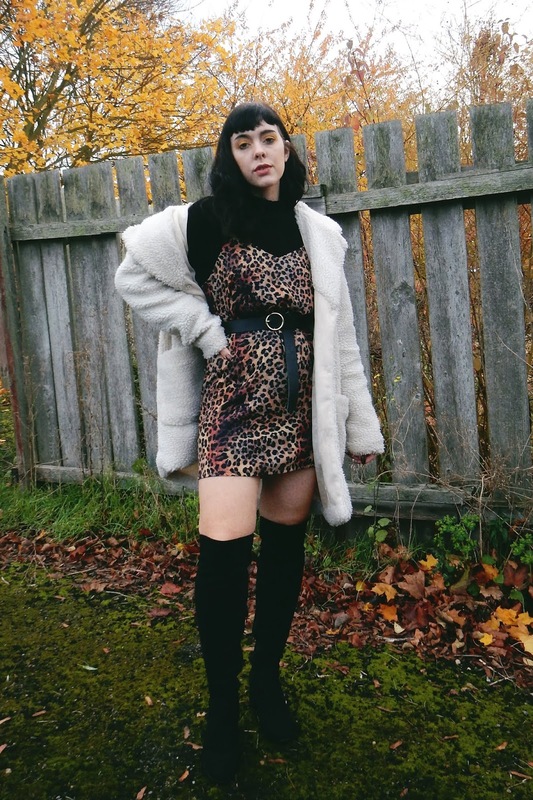 Slip style dresses became a big thing in my wardrobe in summer, so I really wanted one that I could use in the colder months also. 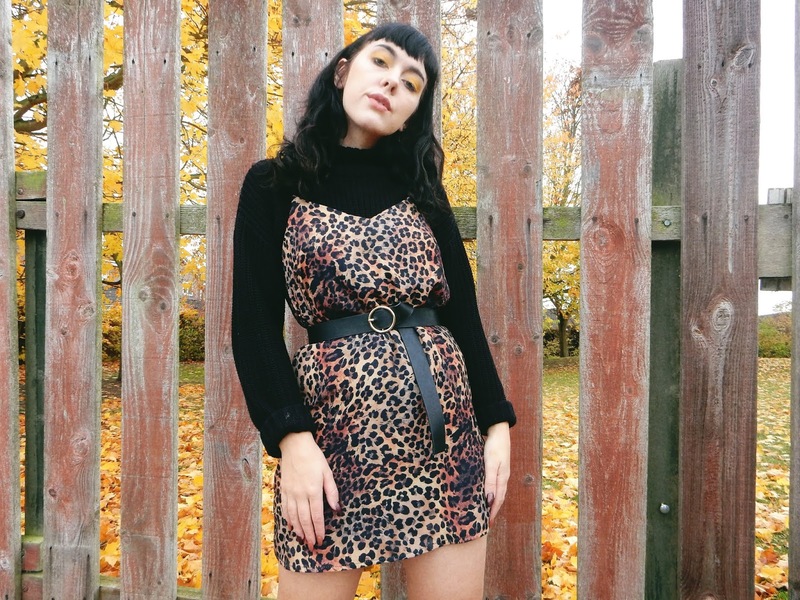 Leopard print is always something in fashion and there's a bunch to chose from on Asos. One thing I've been looking forward to so much about Autumn is layering up, everything looks cooler and it opens up more possibilities for my style. Black jumpers and t-shirts are an easy starting item to build up an outfit and a plain basic has helped me to integrate patterns and colours! 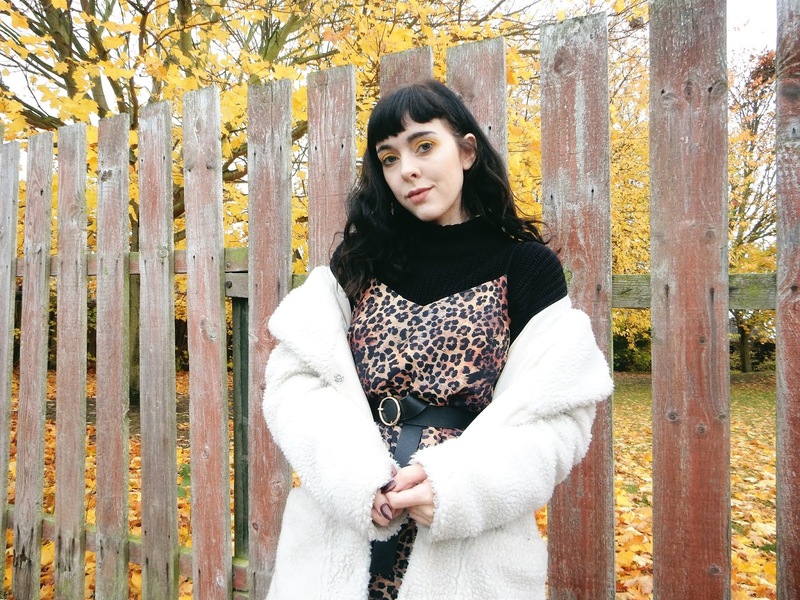 I'm so bad at wearing 'loud' items, they just sit in the back of my wardrobe gathering dust, so to pair it with an item I love (the black jumper) definitely makes it easier for me to like what I'm wearing. 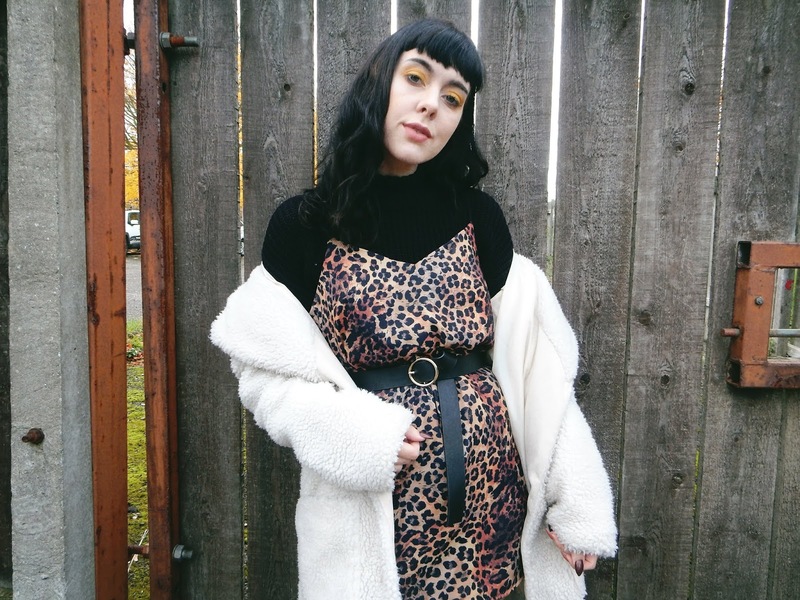 I'm a small human so I always sinch in my outfits at the waist with a chunky belt, another way to exaggerate layering! 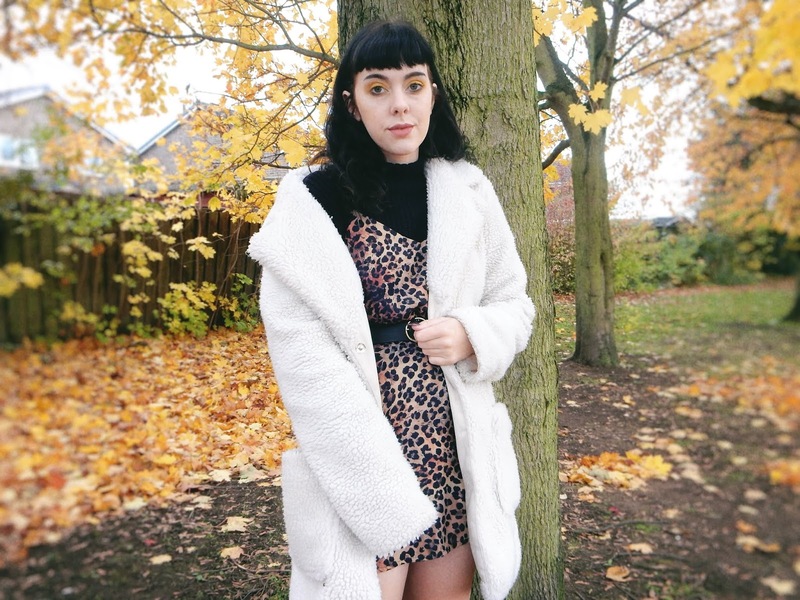 I bought this teddy coat last winter from Primark and it was an utter bargain. 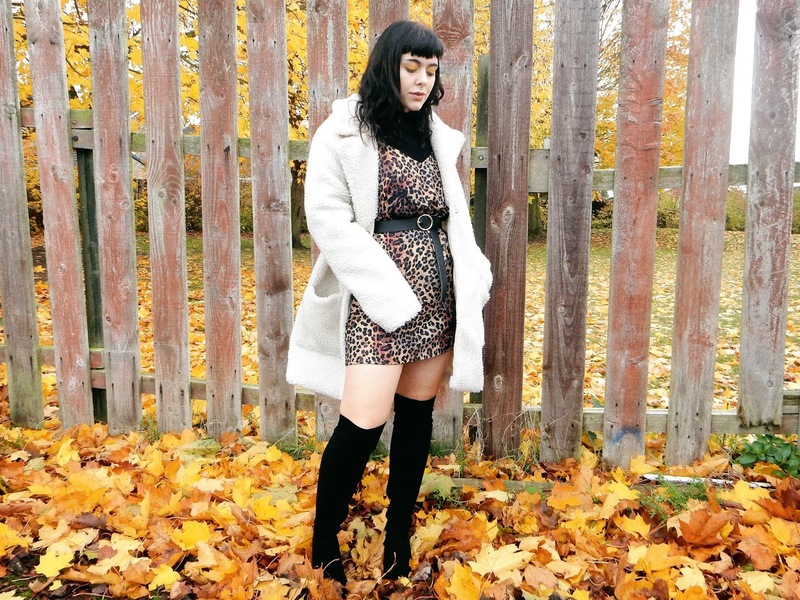 It's over sized and I love to pair it with dresses to keep me warm, giving my outfits a slight 70's feel that I've been wanting to bring to my style all year. I usually pair it with striped trousers and band t-shirts for a 'almost famous' vibe. 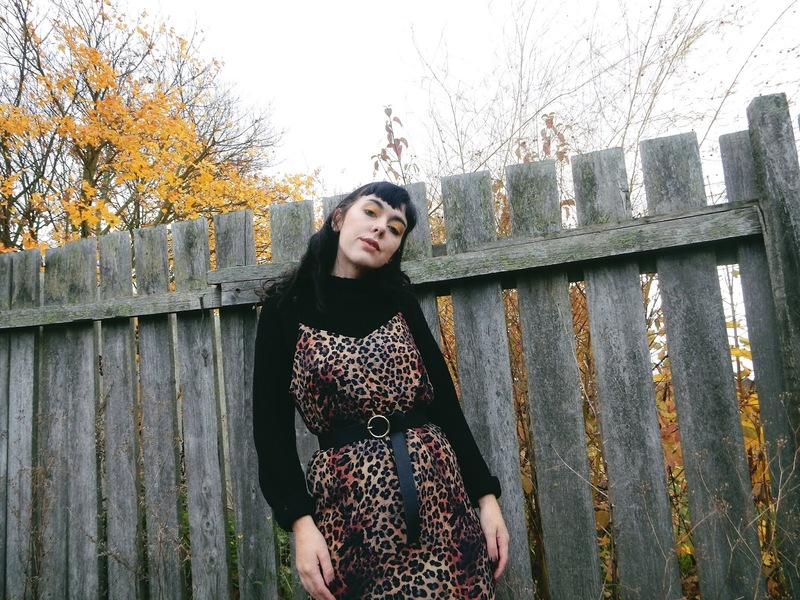 I'm super excited to feel motivated again to shoot outfits because autumn is still in full force! I love the orange crisp-ness of nature as a back drop, but I do also plan to mix it up with indoor content too! 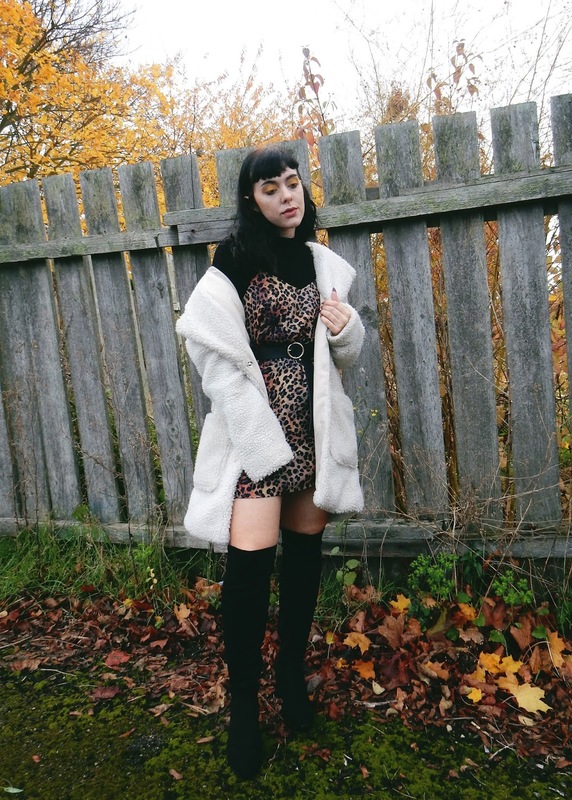 love the leopard print! and your makeup is on point and goes perfectly with the background. Your yellow eyeshadow looks very pretty. 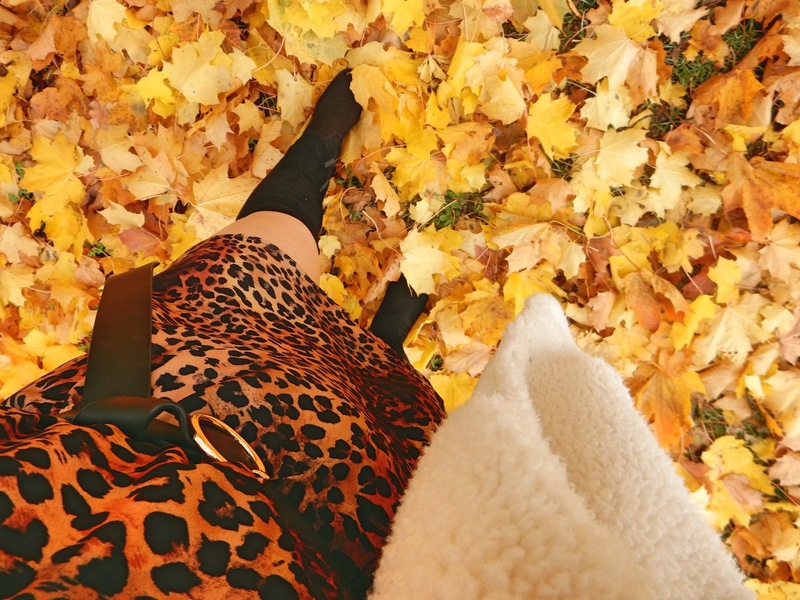 I love these autumn photos of you - you look beautiful. Kudos on doing all the blog posts and posting all the videos that you have in year 2018 (I've only done two posts in 2018 myself and no YouTube videos in the last 3 or 4 years). P.S. : You also look very pretty in the photo you posted Dec. 23rd on Twitter of yourself wearing the magical star fairy outfit. P.P.S. : Best wishes for success with your shop Witchcrafts in year 2019! P.P.P.S. 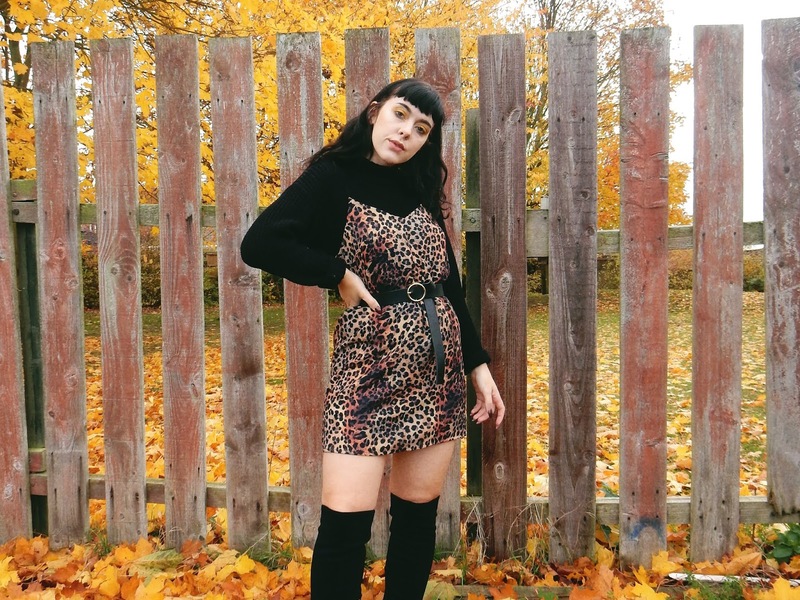 : I LOVE your new multiple outfit lookbook video Ways to Style Knit wear | Heartshapedbones - YouTube!!!!! !